This month’s cover photo is brought to us by Devid VII. The scene, which features a lone spaceman in a hangar bay. 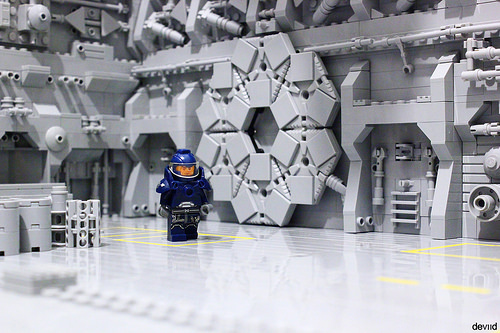 Devid’s shot was taken while he was still building the setting for his final presentation of the awesome maintenance mech we featured, but what drew us to this work-in-progress scene is how well it highlights Devid’s meticulous detailing on the background.